Love Natural Love You Show! 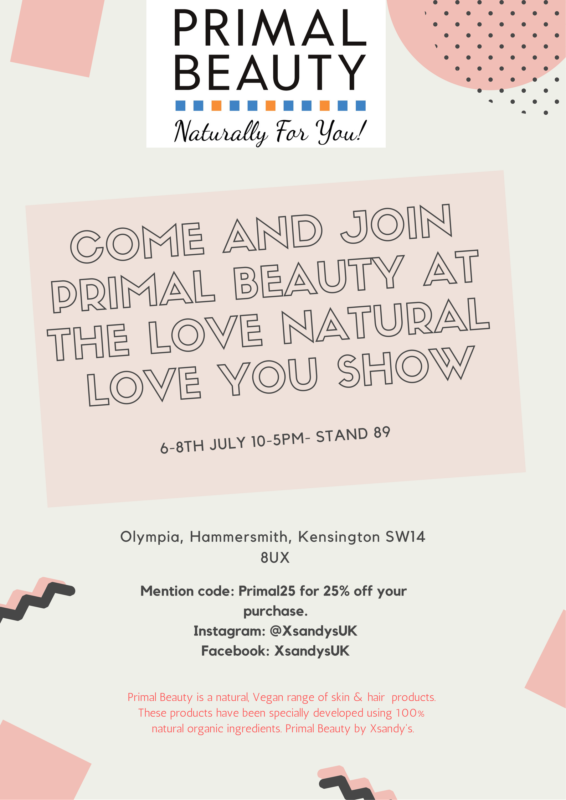 Join Xsandys at the Love Natural Love You show in London (6-8 July). We will be exhibiting all our Primal beauty products which are made with all natural, Vegan ingredients 🌱 We will be based at Stall 89 And if you mention the code Primal25 you could receive 25% off your purchase 😁 This event is not one to miss! Order Shipment tracking now Available! We have listened to your feedback and are pleased to announce that free shipment tracking is now available for every xsandys order! Just log into your account and head to the ‘orders’ tab in the ‘my account’ section! Xsandy’s beauty boxes now available! What if you could try the latest and greatest skincare and haircare products without breaking the bank? Well, we have developed a wonderful selection of beauty boxes for that very reason. Introducing the Xsandy’s beauty box range. Each box contains some of our favorite beauty products from many different brands and each beauty box also has a specific theme. Available as one-off purchases or subscription based so you don’t have to ever forget to restock again! Xsandy’s facebook shop open for business! You can now Purchase some of our amazing products directly on facebook! Check out our Latest interview with Gal-Dem.com. 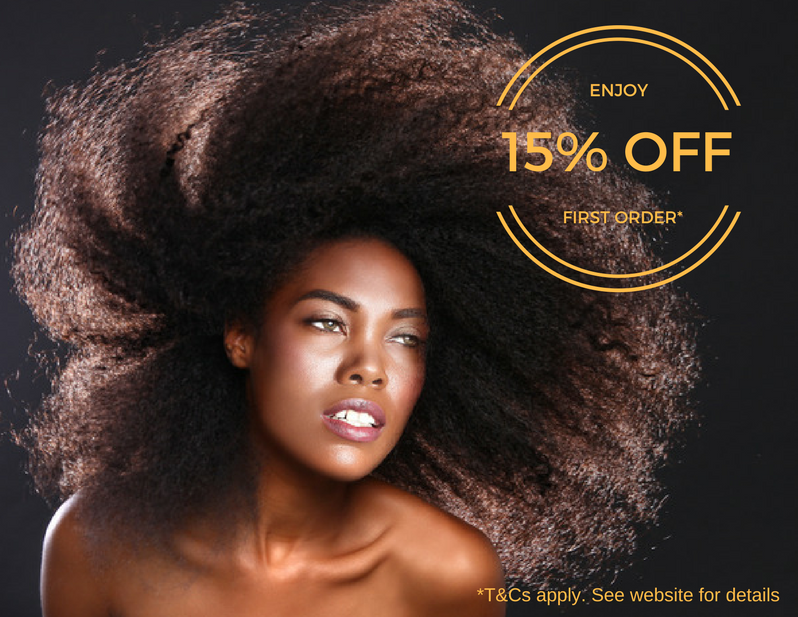 Our founder, Sandra Brown-Pinnock, addresses the lack of black-owned hair and beauty stores in the UK! Since last winter the curly kinks sew-in and wig trend has been gaining momentum in the Black hair community. Solange Knowles has often been seen sporting a Diana Ross-inspired ‘fro; Naomi Campbell was most recently spotted with an afro wig and even Lupita Nyong’o has added a few clip-ins to add height to her teeny weeny afro. Popular hair vloggers such as Alex Elle and Ambrosia Malbrough are also among the lovely ladies sporting faux curls. 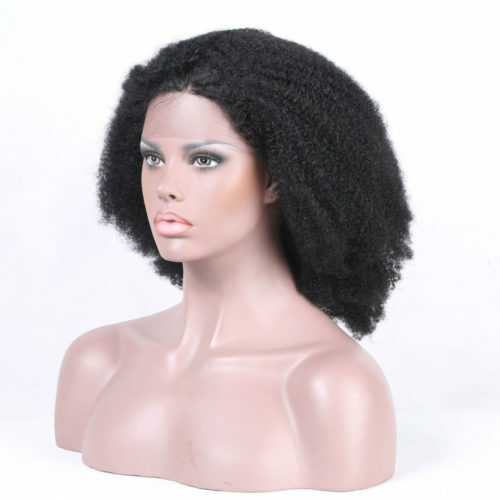 SO We at Xsandy’s are pleased to announce our latest range of natural hair afro-textured wigs called ‘Xsandys Kinks’. Check them out online or in store today! Here at Xsandy’s Hair and cosmetics, we are pleased to announce the grand opening of our brand new salon in the Lewisham Shopping centre. From the November 2nd, customers will be able to be expertly styled by our in-house level 2 qualified hair specialists. Furthermore, our friends at lifestylebyyves.com will be offering FREE mini style consultations and essential oil experiences between 2-5pm!